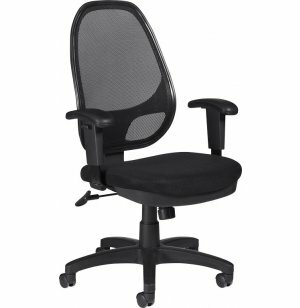 Keep cool and comfy at work with this Mesh Back Executive Office Chair. A sleek all-black design with contemporary contours will give your office a professional look while offering great support throughout the day. 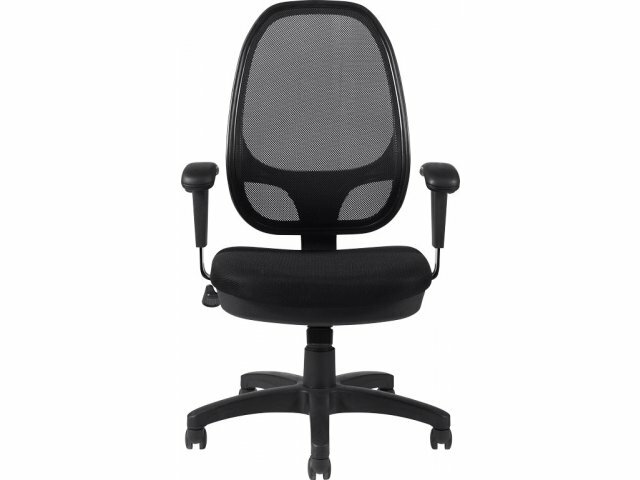 The mesh back and breathable mesh fabric seat provide great ventilation so professionals can keep cool in every season. 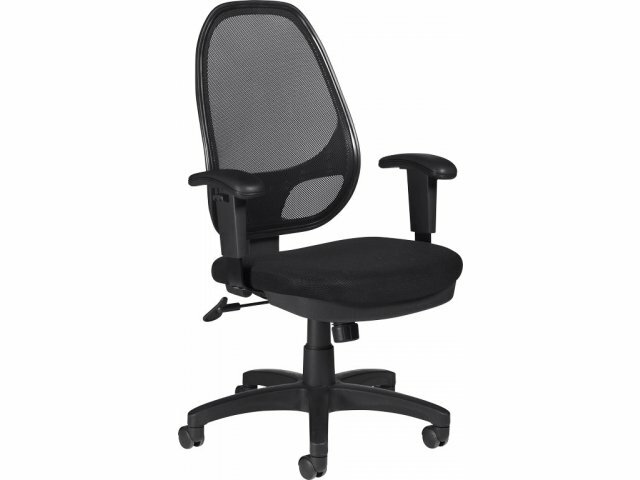 Ergonomic features make this executive office chair a great fit for any professional who spends hours seated at a desk. 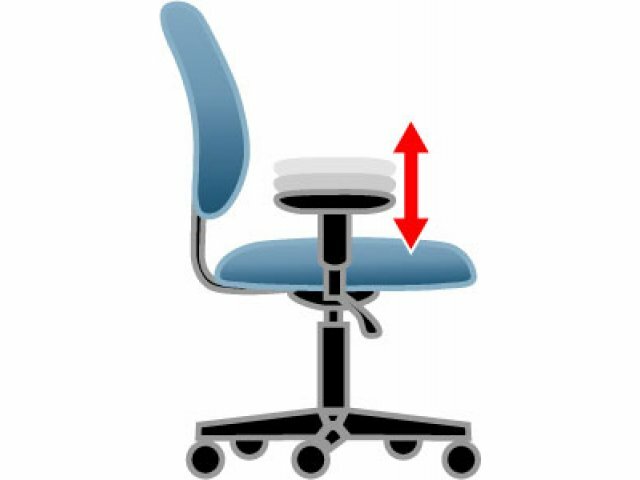 Adjustable seat height, arm height and tilt tension let each person enjoy their ideal positioning. You can choose to enjoy the synchro-tilt movement or lock the tilt angle in the position of your choice. 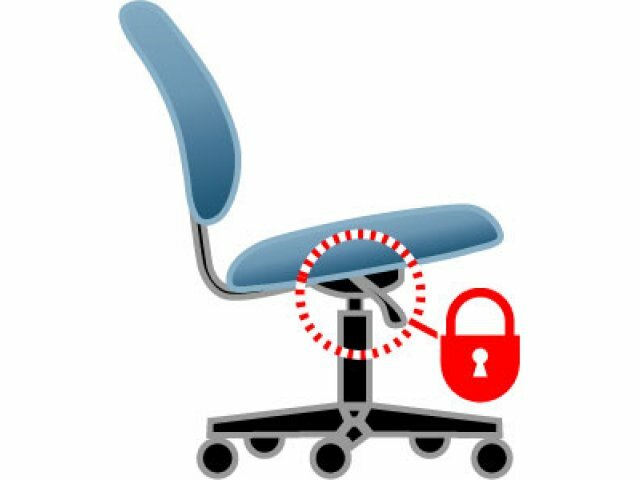 With a properly-adjusted chair, you can enjoy a comfortable, more productive work day. 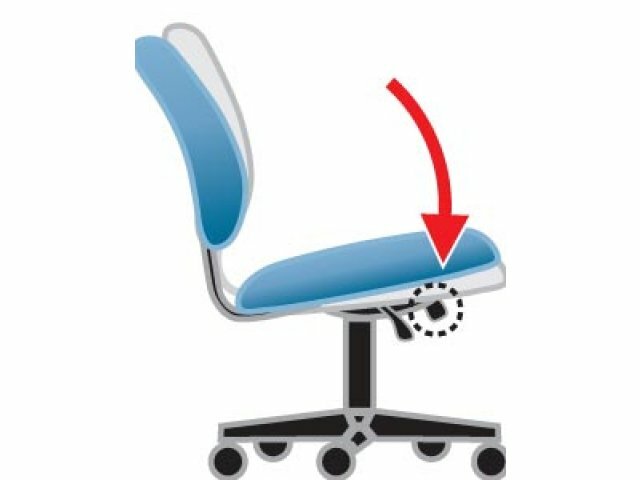 Healthy Airflow: A breathable mesh fabric seat and mesh back facilitate constant airflow. Chair comes in black upholstery. Comfy Seat: Properly-contoured cushions offer great support. 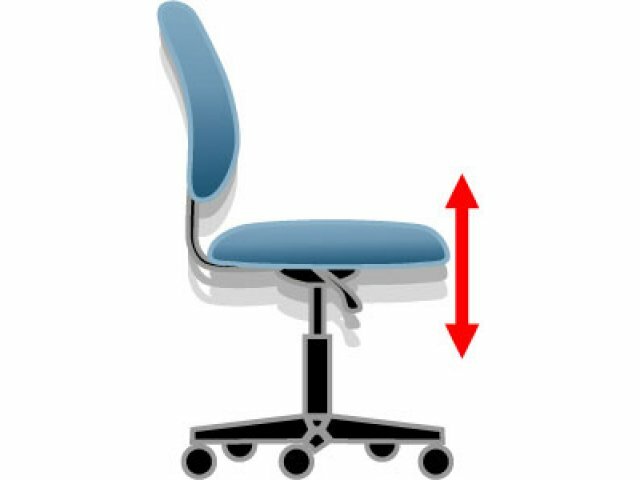 Good Circulation: Pneumatic seat height adjustment and a waterfall edge seat let you position feet flat on the floor to reduce pressure at the back of the knee. Arm Support: Height-adjustable arms promote proper positioning for the upper body. Flexible Settings: Tilt-tension adjustment facilitates customized synchro-tilt movement. 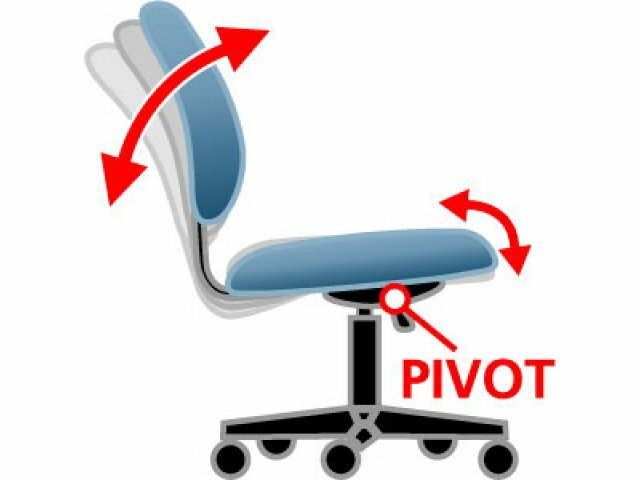 Tilt Lock: Chair tilt lock sets the seat at your desired angle. Sturdy Base: Scuff-resistant arched molded base with twin wheel carpet casters.